Home / Market Insight, Financial Articles / Weird Street / The Oreo Mystery Flavor Answer: What Is It? The Oreo Mystery Flavor Answer: What Is It? We now know what the Oreo mystery flavor is. The new Oreo mystery flavor that the brand has been selling for the a couple of months now is Fruity Pebbles. Yeah, you read that right. The mystery flavor is based on the breakfast cereal of the same name. The reveal of the new Oreo mystery flavor comes after months of guessing on the brands social media accounts. While the flavor has been out for some time now, the cookie maker is only just now announcing what the flavor it, reports Fortune. Here are some of the responses from Facebook users on the post announcing the Oreo mystery flavor. 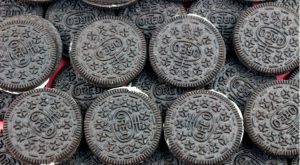 Article printed from InvestorPlace Media, https://investorplace.com/2017/12/oreo-mystery-flavor-answer/.